San Pablo City is the city of seven lakes all of which supply water and fish to the city. 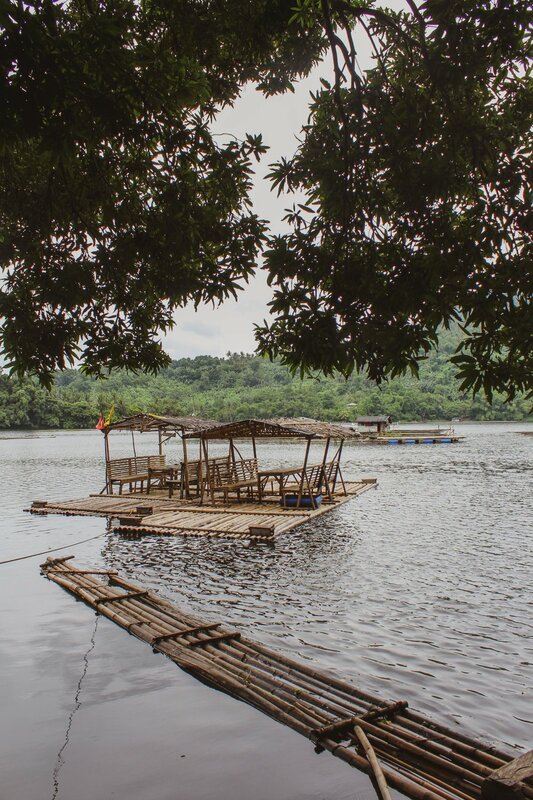 We were only able to visit two of the lakes, Sampaloc Lake and Mohicap. SAMPALOC LAKE is about a mile walking distance from my family’s neighborhood. I was surprised to see how much had changed since I last visited in 2006. Back then, the lake was surrounded by shacks, similar to shanty towns you would see in South Africa. Now, the lake is getting gentrified with plenty more new construction in the works. The government has move out all the poverty and made space for bars, clubs, large estates and hotels. There are still modest homes where goats and chickens roam freely. The lake is just more fit for tourist with sidewalks where people go running and biking (the change is still so odd to me. . . I struggle to come to terms with gentrification because clean things are nice, but like where did you send all the poor people?!). 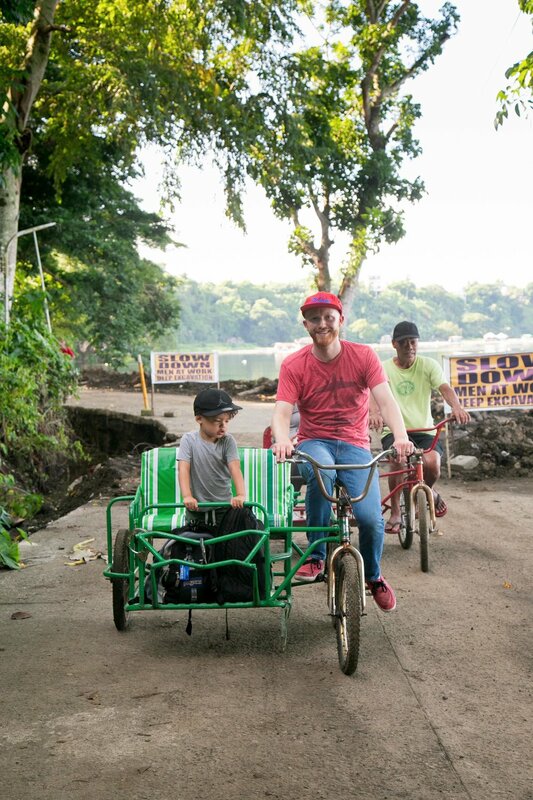 The only things that are still the same eleven years ago is that you can buy taho (silken tofu and tapioca pearls in warm can sugar syrup) or buco (fresh coconut) juice from vendors and rent bikes to ride around the lake. MOHICAP LAKE hasn't been gentrified, yet. Though tourist are welcome here, the attractions are more historic and natural. On the road to the lake, you'll find several makeshift homes with kids playing in the streets while the adults cook and clean. It's a beautifully simple life and it's always humbling for me to witness. The crater lake sits below the location of the entrance. When you arrive, you're welcomed by a gentle-spoken man who is very passionate about sharing legends and WWII stories of this lake. 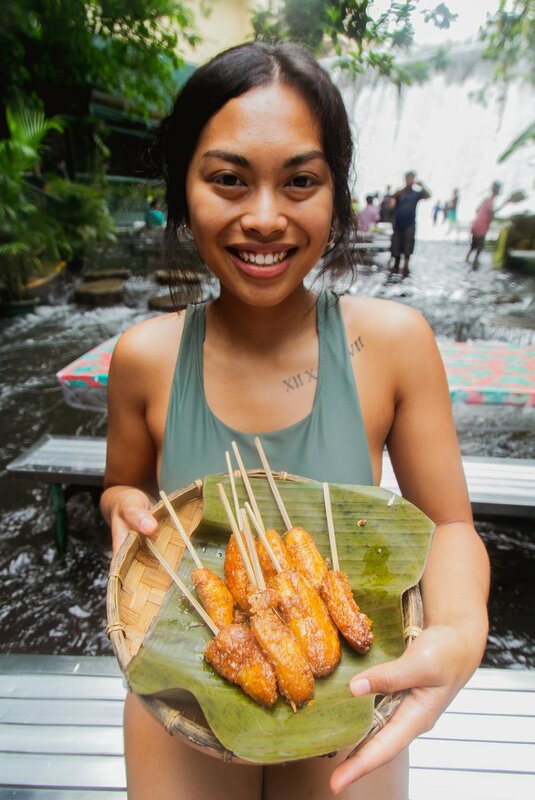 We were able to raft around the lake on the bamboo rafts, feed the fishes, and explore a man made cave that is home to the rare swiftlets, the bird that makes its nest out of saliva and which is infamously used to make Bird's Nest soup (it is a rare and expensive culinary dish that Bourdain raves about). 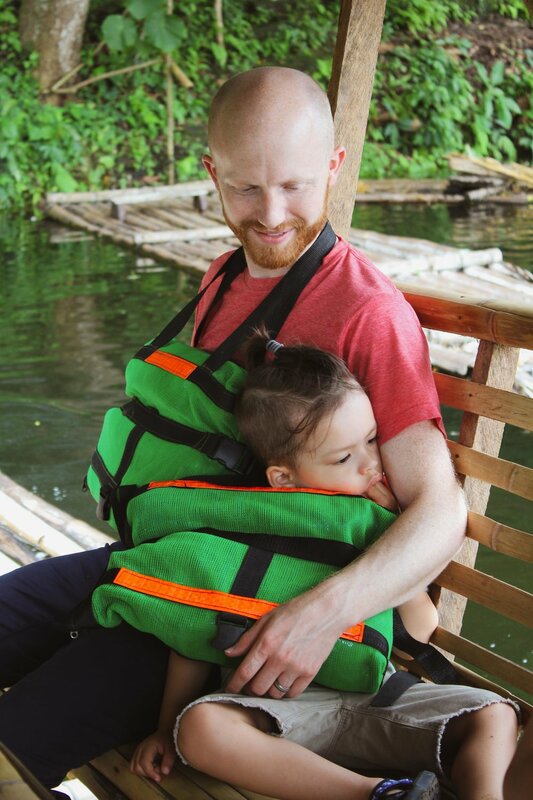 Oh, if you’re wondering what the green things we’re wearing are, they are life jackets made of empty soda bottles in a green plastic netting. I don’t know if they work, but I’m impressed by their resourcefulness. San Pablo City is located near VILLA ESCUDERO PLANTATION AND RESORT and HIDDEN VALLEY SPRINGS. Day passes can be purchased if staying at resorts aren’t your thing. 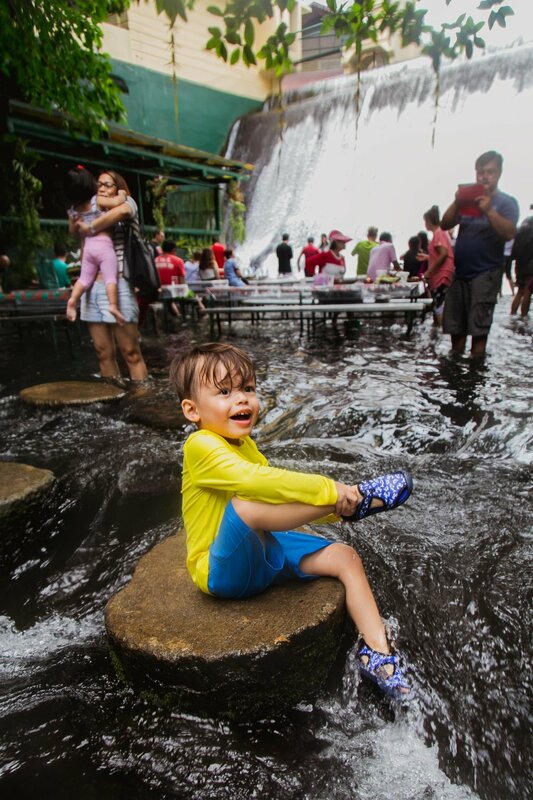 Villa Escudero offers more of a touristy and cultural experience. 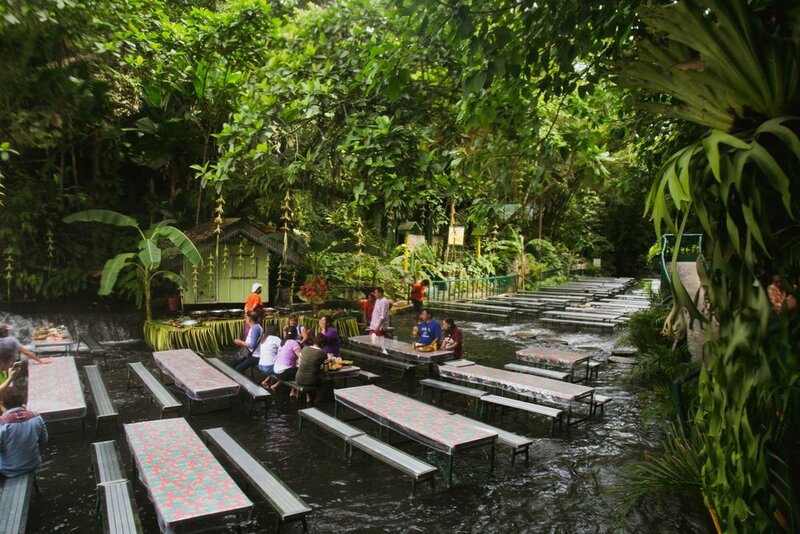 It’s most famous for its buffet dining on a river that sits right below a waterfall (the food is amazing. . . the mango smoothies and banana-q’s are to die for!!!). 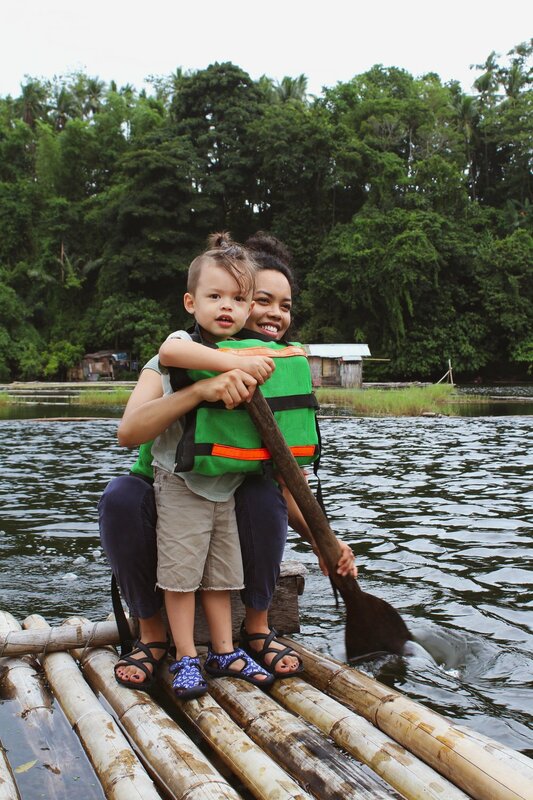 Other day pass attractions include a history museum, cultural shows and paddling the river on bamboo rafts. 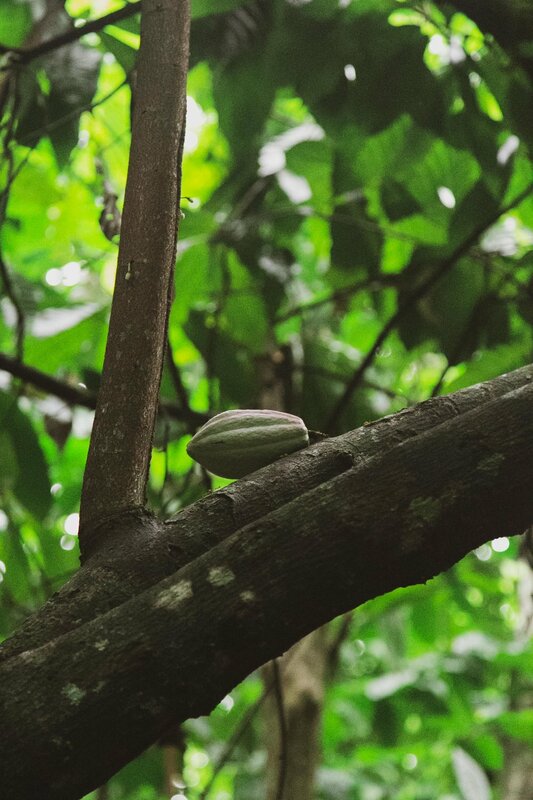 HIDDEN VALLEY SPRINGS is a resort that is actually hidden in the jungle. If you love relaxing in nature and don’t mind the bugs (because you will find spiders and ginormous caterpillars) it’s a lovely place to be. There are many natural soda pools, each secluded from the other. There’s also a little hike to a tiny waterfall that includes walking across is huge tree. (I didn’t go on hike, but my sisters did and they said there’s quicksand where the waterfall is. So it’s a look-don’t-touch kind of waterfall). The tree was blown down by a storm and instead of getting rid of the tree, the resort put up a plaque to honor this beautiful giant and turned it into a bridge. Very very treehugger-esque! In a day pass, lunch and an afternoon snack (and it’s not no PB + J with apple slices kinda snack. You’re practically getting another meal cause Filipinos know how to eat!) is included. 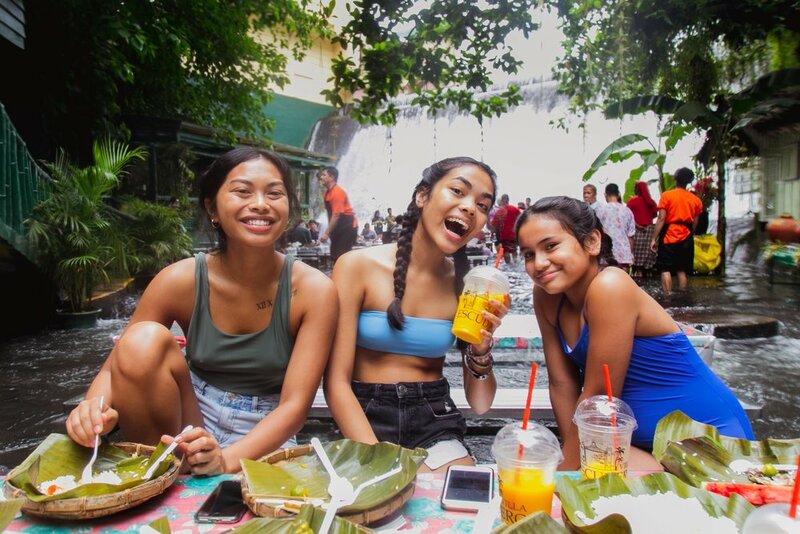 It is a buffet style dining, but the menu is a totally different array of Filipino food and desserts than that at Villa Escudero (so no, you won’t get bored of Filipino food. . . but like who could?!). Also, a tip for my green thumb peeps. As tempting it is to grab a monstera leaf (a baby potted monstera can be $30 or $10 per leaf here in the states!!!) 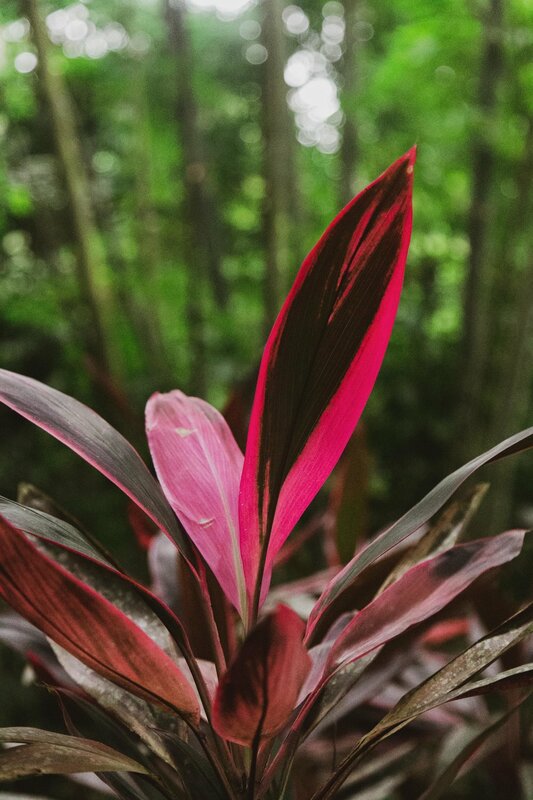 or this pink leafed plant that I’m sure will be a trending house plant soon, resist the urge! Just enjoy looking at it in its natural habitat because you know there’s no way (so so sad) you can get that through customs. I’m for real crushed about it. 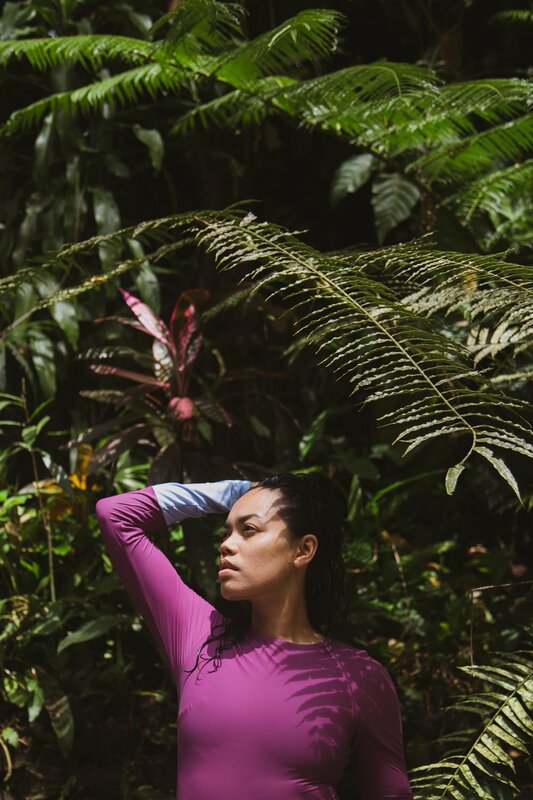 When I travel I really enjoy experiencing a country like a local and luckily having family in the Philippines makes that possible. The palengke or the wet market are shops located outdoors. The lower indoor section of the palengke is pretty dark and wet. There are an array of shops and vendors that carry all sorts of cheap merchandise; everything from produce, cookware, to fake Gucci merch and Kylie Jenner lip kits (you guys have seen the videos of what the fake Kylie lip kits are made of right?!). 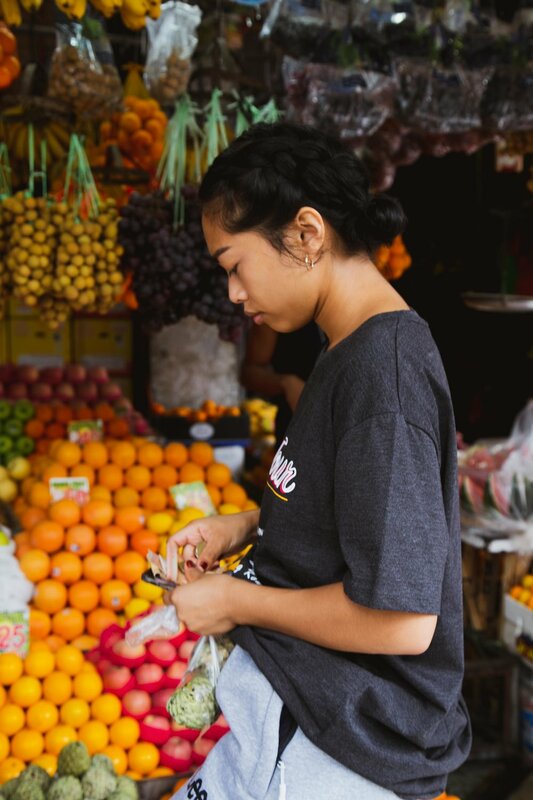 Just like I geek out in an Asian market, I definitely got spend happy when I found my favorite Filipino candies and woks of all sizes at my finger tips! You can also get delicious street food (puto and palitow are my favs), find vendors who sell native plants (again, resist my friend! ), and there’s a small mall that has good shopping, a cute Japanese home store, a grocery store and every Pinoy fast food restaurant.